If you guys follow me on Instagram, occasionally it shows us having S'mores - an ooey, gooey marshmallow, chocolate mess that is awesome! 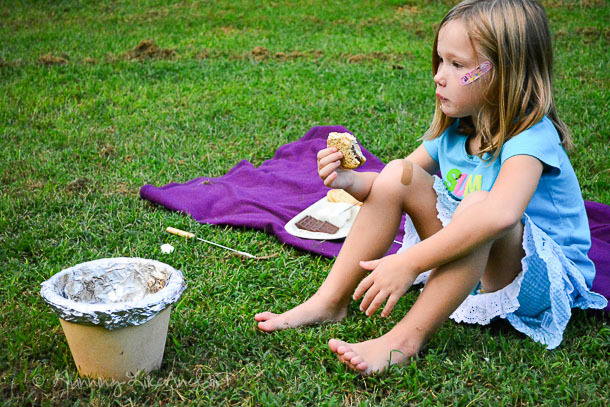 I even have a whole Pinterest page dedicated to S'mores! Anyway, I saw a post by Apres Fete well over a year ago and pinned it. I finally got around to doing it (cause that's why I pin over 2000 things, because I actually want to do it or it inspires me), and what I pinned was the individual flower pots, filled with aluminum foil, charcoal so you can make s'mores - brilliant! 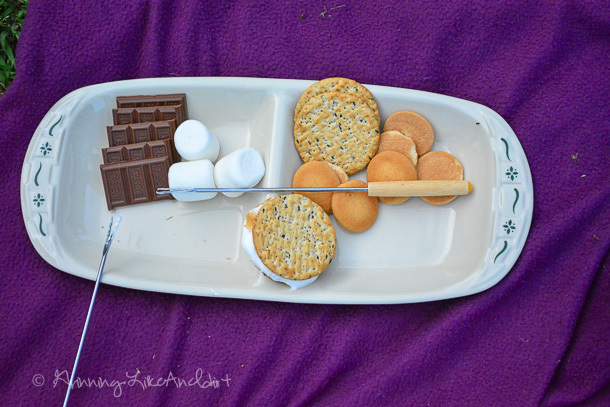 We don't have a fire pit in our backyard and I certainly don't want to dig out a pit, so this was a perfect fit for my infrequent s'more cravings. I sent the kids around the yard to grab twigs, leaves to put into the flower pot. The little flower pot was just the right size! 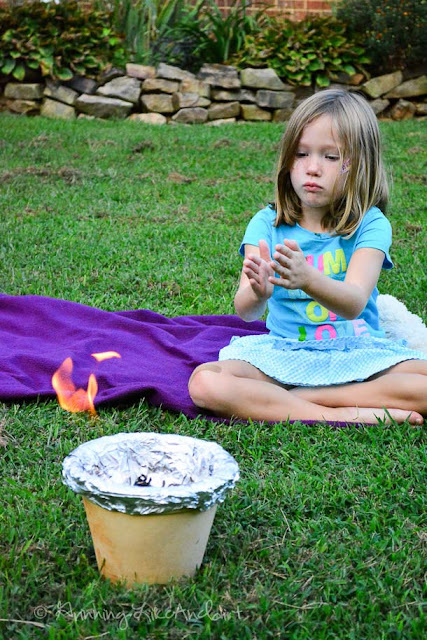 With the foil lining the pot, the pot acted as a little oven that warmed and toasted the marshmallow without setting them on fire. 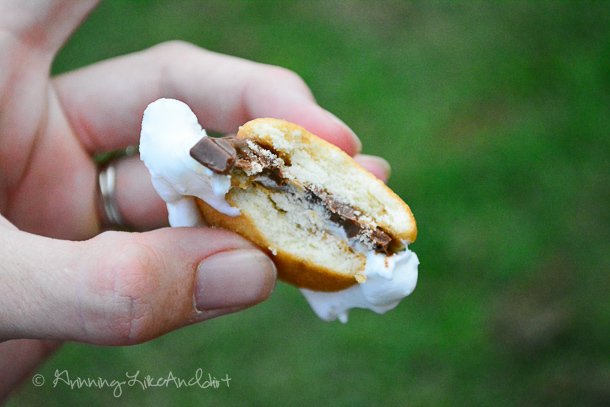 Follow Grinning Like An Idiot's board S'Mores on Pinterest for more ideas to try! 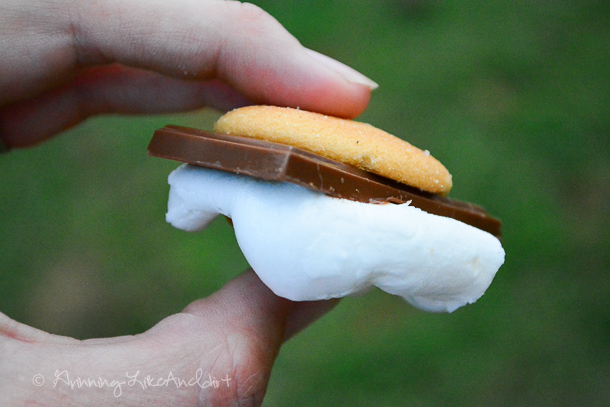 Apparently I changed some people's world by suggesting Reese's Peanut Butter Cups for the chocolate (by far, my favorite :)) What is your favorite way to eat S'mores?